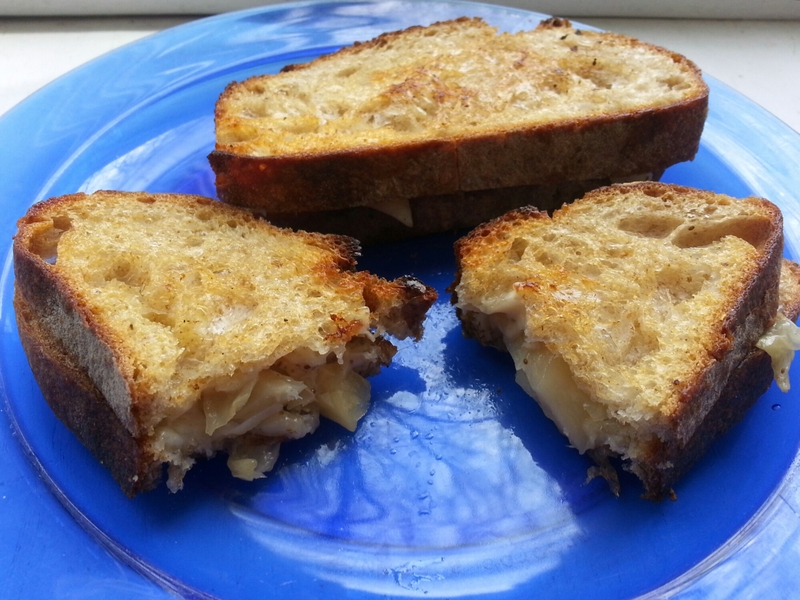 I haven’t done a Fermentation Friday in a while, so I thought I’d share with you one of my favorite ways to eat sauerkraut: in a grilled Swiss cheese on sourdough bread. I guess you could say it’s kind of like a Reuben, but without the meat, sauce, or heartburn. Rye sourdough is optional; you can also choose whole wheat or whatever suits your fancy. It’s great by itself or with a tangy soup, like tomato or borscht. What’s your favorite way to eat sauerkraut? If I could, I'd beam one over to you! I'm still struggling to 'get into' sauerkraut - I made 3 jars months ago and at the rate I am going it will be around for years. Thanks for the tip though - grilled cheese could be the way to go! I definitely go through phases. If all else fails, I've got a recipe for sauerkraut chocolate cake around here somewhere. It doesn't taste like sauerkraut, I promise! Awsome idea! I grew up on sauerkraut and I cannot live without it. My favourite way of eating it is as soup, i think. I've never had sauerkraut soup. Do you make it like borscht?